These are some of the excuses that we see everyday citing reasons why a pig needs a new home. Are You Ready To Add A Mini Pig To Your Family? Is a mini pig the right pet for you? Let's ask in a different way. Is a pig the right pet for you, right now? It isn't fair for only the good things to be posted, on the other hand, it isn't fair to only post the negative things either. So, we decided to take the most common situations and create a page that addresses each one. These are the top reasons why people do not keep their pigs, why people need to find a new home for their pig, the reason why many of us are frustrated with post after post on every forum about pigs that are unwanted. If you have doubts about being a pig parent, wait. Do NOT get a pig now. Make sure the time is right and you are prepared to get a pig BEFORE bringing a pig home. NEVER buy a pig for an unsuspecting person. This isn't fair to the person OR the pig. If you think you're ready to add a pig to your family, take our "Are you ready to be a pig parent quiz" below to see how prepared you really are. Having a pig as a pet is often challenging. There aren't resources available like there are for other traditional pets like dogs and cats. There aren't good how-to manuals on properly caring for a pig and there isn't any "one way" to do anything. Instead, you have to develop and tweak a routine that you and your pig can live with. Each pig is unique as is their living situation and personality. Winston Churchill said it best when he said: "dogs look up to us, cats look down on us, pigs treat us as equals." Pigs treat everyone equally. Everyone is a part of their herd, the humans, the dog, the cat, visitors, it doesn't matter, everyone has a place in the herd, as a pig sees it. This is also problematic for those who don't understand the complicated herd dynamics. Every herd has a leader, this person must be strong, not necessarily physically strong, but they must have a leader type personality, this person is the protector, this is the person who is usually the main caregiver for the pig, so this person must stay consistent. If you are frequently out of town, this disrupts the herd dynamics. Your pig doesn't understand that you will be gone for 3 days and the next person in charge will take over. Instead, your pig sees this as an opportunity to move up in the chain of command and will likely challenge the stand in for the "top hog" position. Your pig is charging and biting at people. Now the pig needs a new home. 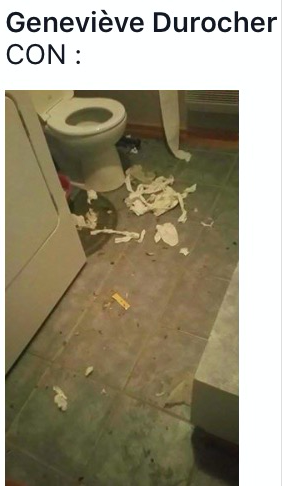 This kind of problem is unique for pig owners. Dogs do not typically do this, cats do not typically do this, ferrets or goldfish or snakes, do not typically do this. Pigs are social animals and need someone to spend time with them. They are not the kind of animal that can be locked up all the time. They need a structured day full of activities to keep them busy. A bored pig can be a destructive pig. This is a problem we DO see with other species of animals. Dogs have been known to chew up slippers when the owners weren't home, cats have taken rolls of toilet paper and shredded it to small pieces scattered throughout the house, the difference is, pigs do not find the joy and pleasure with a piece of string or just a ball like some of the others would. Pigs need more complex activities to occupy their busy minds. As everyone knows, pigs are extremely motivated by food, so a lot of people suggest a treat ball to keep them busy. In a way, this can be helpful, however, in other ways, this is actually harmful. Pigs should get treats when training and other times in a form of positive reinforcement. But treats even then, should be limited. Pigs can gain a lot of weight very easily, and this leads to obese type complications. Basically, fat pigs do not have a great quality of life. By giving pigs treat balls, which are motivating, it is also giving them calories they do not need and it lessens the effect of treats when training. Why would you want to learn anything when you get the same thing because you're bored? Instead, activities need to be fun for a pig. Because of their intelligence, finding activities to keep them busy can be difficult. Pigs like to dig, rooting for hidden treasures is something fun for your pig, which brings us to another issue some people may have with having a pig as a pet. No outdoor space or a yard that you may not want destroyed by a pig. Some pigs dig holes that are deep enough to bury a body, others only tinker around in the yard leaving a small trail of destruction. That is something a lot of people aren't prepared for. Add a vegetable garden to the mix and now you have a bored pig who likes to dig and is food motivated, bye-bye garden. (There are ways to protect your garden too though) But this is an issue many people didn't think about before bringing a pig home with them. Your yard is a disaster. Now the pig needs a new home. This is also a problem inside the home. As we stated above, pigs need activities. Pigs are smart enough to watch and see where you keep their food, or even YOUR food. They have an extremely good sense of smell and can detect the faintest of scents. You leave and when you return home, you see you cabinets open, your refrigerator has been raided, there is 1/2 eaten packages of food scattered all over the floor and the only one home is your pig. Or, you come home to find a bite mark in your wall only later to discover the other side of the wall is partially missing. Why would a pig eat a wall? Bored pigs can be destructive pigs. 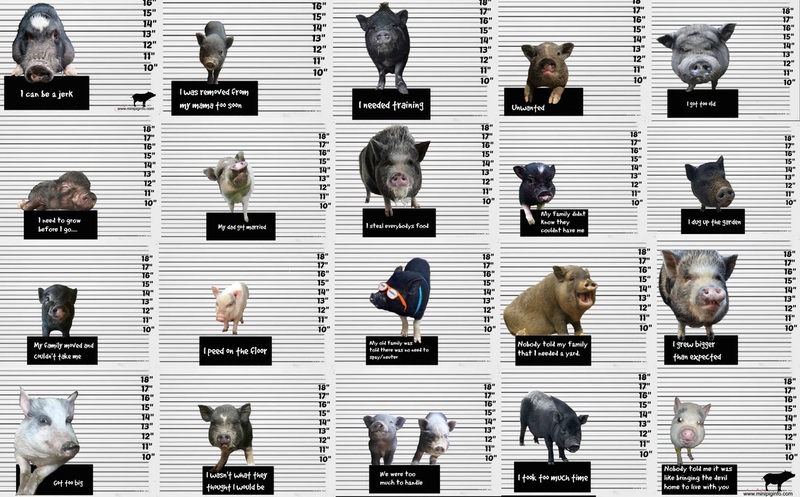 (Click here to see almost 10 minutes of pig shaming, trouble pigs routinely get in to when bored) Now you have an empty fridge, your house is a mess and this pig is just too much to handle. Now this pig needs a new home. The number 1 reason we see pigs needing a home is because the pig got too big. I blame that on everyone, but mostly you. If you believe that a pig will stay tiny despite the enormous amount of information that tells you a pig will not stay small, that is your own fault. Click here to read about teacup and micro pigs. It is truly sad to me that people don't keep an animal because they grow. Will you get rid of your child when he/she reaches 3 foot and 50 lbs? You shouldn't do that with an animal either. Buried deep in a pigs DNA is the predetermined height and length your pig will be. There is nothing you can do about that. The weight is a direct result of what you feed your pig along with how much activity your pig is engaged in. There is a difference between an emaciated pig and a morbidly obese pig and there is a huge gray area. A pig should be in the gray area. A healthy pig's weight isn't the question. It's the overall body shape. A pig can be 150 pounds and be very healthy, a pig can be 100 pounds and be super fat. This is determined by age, body shape and size and body scoring in general. A 8 month old pig that weighs 100lbs with a belly that is dragging the ground is probably unhealthy. That pig isn't even close to being done growing and also doesn't have a good quality of life. This pig will likely be lazier than the average pig at that age, probably will be arthritic by the age of 4 and will likely die early on as well. Why? Because you obviously don't know how to take care of a pig. Pigs aren't meant to be dainty little creatures. Pigs are meant to be pigs. Pigs that are underfed to be kept small will have health complications. Their bodies are being deprived of essential nutrients and minerals that it needs to grow strong bones and organ development, and good, strong immunity to fight off illness. it is unrealistic to think you can starve a great dane to the size of a chihuahua and essentially, thinking you will have a grown pig that will fit in a teacup is doing just that. Pigs don't stay the size of piglets. If you do happen to have a pig of smaller stature, your pig is the exception, not the rule. Do not tell everyone you have a teacup pig, you do not. You have genetically mutated pig whose parents never should have been bred. Odds are, even if that breeder tried, that small pig wouldn't be able to be duplicated. And if by chance it is, wait 5 years and see if those pigs are still alive. Labs and researchers that have millions of dollars at their disposal, haven't been able to scientifically create a pig that weighs less than 60 pounds. Why would you believe a breeder could do better than that? The pig gets bigger than the "guaranteed" or promised weight and you no longer want it. Now the pig needs a new home. If you are adding a baby to your family, getting a pig is like having two babies. Both will require attention and support. And, the herd mentality is still there too. Some pigs do well with babies, but in my experience, most do not. A pig may tolerate a young child pulling its tail or slobbering on it. A pig may love the interaction with a child. Eventually, that child will be considered a part of the herd though which can cause problems. In addition to that, pigs usually associate the hands with treats and younger children or toddlers often put their hands near a pigs mouth, the pig, thinking the child has a treat, will nip or bite a child causing a domino effect. Now the pig will need a new home. If you are renting your home, you really need to look into home ownership before you get a pig. That's not to say you wouldn't make a great piggy parent, I only suggest this because most people do not stay in rental homes forever and its difficult to find a rental home/landlord that will allow you to have a pet pig inside the home...this is if your county/city allow pigs to reside within city limits. When people have the desire for something, they get it. We see pigs needing a new home for many reasons, but I would have to say the number 2 reason is zoning. You have a pig or recently got a pig and one day, the zoning compliance officer knocks on your door. You are informed that pigs are not allowed to live in your town or city. Who knew? You bought the pig from Susie Sunshine 4 blocks away or you may have had your pig flown in from another state or found an ad on craigslist or even saw a post on social media with a cute little piglet for sale/for free/needing a home/going to be butchered if a home isn't found, etc. You have got to check the rules or ordinances in your area. Each town is different, each city is different, each county is different. If you have a town or city that allows pigs, you may have a homeowners association with different rules that do NOT allow pigs. You have an obligation and responsibility to check all these things out before you get a pig. You found out your city didn't allow pigs, or your lease is up and your pig can't move with you, now the pig needs a new home. You have a home, you have a yard, you have a family who loves your pig, everyone but your dog. Dogs and pigs are natural enemies. Other than a livestock guardian type dog, they should never-ever be left together unsupervised. You want to see a group of people jump down your throat? Post a picture of a dog and pig together. It has been proven over and over again that dogs and pigs don't do well together. I don't care how docile your dog is, I don't care how gentle your dog is. I don't care that your pig is just a tiny baby. They do NOT get along. They may lay together, they may play, or what you perceive to be play together, but eventually, your luck will run out and there will be an injured or dead pig. It happens everyday. If you have to choose one over the other, I have found that most people rid themselves of the pig because the pig just can't get along with the other animals despite the many warnings you got before you got a pig. Now there is a pig that needs a home. You may get a pig and realize that the pig IS time consuming. Your pig won't listen, or your pig is difficult or your pig keeps peeing on the carpet. THIS is the life of a pig owner. Your pig will only be as good as YOU teach your pig to be. A pig does require training. No if's, and's or but's about it. If your pig is a jerk, thats YOUR fault. If you're not careful, your pig will have YOU trained way before you attempt to train your pig. Knowing that training takes time and isn't done overnight is an understatement. Some pigs are especially hardheaded and training takes a super long time. Usually because the technique you're using isn't one for pigs, but nonetheless, is still frustrating. Your pig just doesn't listen and is destroying your carpet, now the pig needs a new home. Intact pigs do NOT make great pets. I don't care what anyone says, hormones drive a lot of their behavior. Pig PMS is NO fun, a hormonal boy that is trying to mount anything he can wrap his legs around is not a good time for anyone. Pigs that haven't been spayed or neutered often develop behavioral issues, sometimes even aggression. Besides the fact that pigs are very likely to develop reproductive tumors when left intact, they often "forget" potty training or general manners when they aren't neutered/spayed. Pigs also use urine to leave a trail for any potential suitors. If there is no scent, how will they find me? (A pigs version of flirting or leaving breadcrumbs) What people don't usually check beforehand is the prices for spaying and neutering these pigs. That cost can vary from 50.00 to 1500.00. It depends on the area you live in as well as the experience of the vets in the areas around you. Some areas have only 1 or 2 vets that will even work with pigs, so they can charge whatever they want because there is no one else that will do it locally. Some do not have a vet within several hours of them. THAT is a problem. Pigs sometimes get sick, once they show signs of being sick, they are really really ill. Pigs are prey animals, so that means they don't like to show any signs of weakness because instinctively, that may cause them trouble or put them at a disadvantage. Pigs also have accidents requiring x-ray or surgeries for obstructions or abscesses, many different things. Not having access to a vet could literally be the difference between life or death. Your pig is simply put, a nightmare, aggressive, mounting everything, moody and you cant find a reasonably priced vet or any vet for your pig, this pig just needs to go elsewhere. Now the pig needs a new home. You have a yard, and you have a fence, but the pig keeps getting out. Pigs can dig under a fence or find any weakness in the fencing and they will remember exactly where that is, every. single. day. The pig believes the grass is greener on the other side and will keep testing that theory. You have to constantly fix the fencing and you just cant do it anymore. Now the pig needs a new home. There are people who choose to get a pig for someone else, maybe a birthday or christmas gift. This is highly discouraged. Having a pig really limits your ability to take vacations or trips, not to mention, does the receiving person know anything about pigs? Not being prepared for a pig is not ideal. Holidays are NOT the time to bring a pig in your home. They're already scared and having a lot of people trying to pick up this scared pig will not help this pig become acclimated. If your kid comes home with a gift from their boyfriend or girlfriend and it's a pig? You need to send that pig back to the breeder if you're not willing to commit the next 15-20 years of your life to care for that animal. Other people are tired of cleaning up these messes. Once your child goes off to college or moves out, what happens to this pig? What happens when the novelty wears off? I will tell you what happens, it will be another pig needing to find a new home. People are tired of seeing these posts on craigslist and Facebook starting off with "It breaks my heart, but my pig needs a new home" or "This pig will be butchered Friday if someone doesn't come get it". I know I am tired of seeing those kind of posts. There is no more room at peoples homes for these pigs. There is no more space at the rescues and sanctuaries. I actually got a message the other day from someone who wanted to buy a piglet at the pet store, they wanted to know where the closest rescue was so they could buy the piglet and take it there because the piglet looked sad. That's not the way it works. People are going to have to start learning valuable life lessons for this to stop. I am all for helping others, I think that sometimes encouragement or advice, even financial help can sometimes keep a pig at its current home, but not usually. Usually the person isn't willing to learn anything or take the time to work with their pig. As long as everyone keeps bailing them out, they will continue to do this. It's a never ending vicious cycle. Help stop the cycle. Spay and neuter. Adopt. Foster. Rescue. Don't make it so easy for someone to "get rid" of their pig. Quit paying for pigs! What these people don't realize, is that we can't give pigs away. And you want a rehoming fee of the price you paid for that pig? Sorry, that will be an expensive lesson learned. Im sorry you didn't research what having a pig would be like, I'm sorry you didn't listen to the 500 people tell you that the pig wouldn't stay small, I'm sorry you didn't believe a pig was much different than having a dog, and most of all, I'm sorry that pig ever came into your home because now there is an unwanted, sad, expensive, untrained, intact, hungry pig that someone else will have to care for. YOU should be ashamed you ever got a pig. YOU should've known you weren't ready for a pig, Telling people pigs are great and super fun and just like dogs isn't accurate. You are setting them up for failure. It doesn't take much to disappoint someone, at the first sign of trouble, if you care about your pig, reach out for help. Everyone is willing to help someone that is trying to work with their pig or willing to keep their pig. We want people to get pigs as pets, we promote pigs as pets, BUT, to the right people. We don't endorse everyone to run out and get a pig. Matter of fact, recently, I was told that we discourage people from getting a pig. While that is not my intention, I'm glad. That is one more pig that won't be looking for a new home in a few months. I have learned through years of watching, people have to learn the hard way, they will believe the lies because thats what they want to believe. It doesn't matter how many people try to tell them the truth or how hard it can be, they just don't want to listen. Ultimately, we all pay the price. We all have to see post after post about pigs needing a home. We have to sit and think about pig A, B and C at night and worry whether or not they have food or someone is taking care of them or whether or not they will survive the surgery to remove the tumor because someone didn't want to pay the money to have the pig fixed. It's all just sad. If you are willing to work through these kind of challenges, then a pig may very well be the right pet for you. Offer to watch someones pig while they go on vacation, or out of town for work to see if you are truly up for the challenge. Help a pig rescue just for one day and see the issues for yourself before making that life altering decision to get a pig. 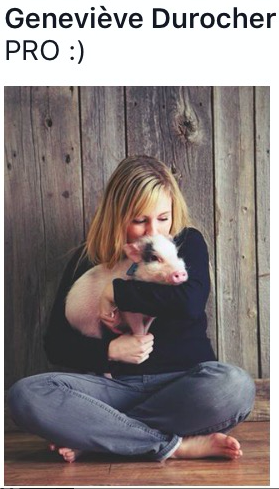 Visit a rescue or sanctuary, they have pigs of all ages, sizes and shapes available for adoption. Click here to view pig rescues/sanctuaries. The best thing about that? You will have guidance from someone with experience, someone will always be there to answer your questions. How do I know this? Because I have chatted with just about every rescue or sanctuary owner either on Facebook, in person or on the phone and they didn't get into pig rescue because they had nothing better to do, they got into pig rescue because someone needed to and they love pigs. People with that kind of love don't walk away and never talk to you again, those kind of people should be admired and they will always be there for you. Both beautiful pictures were shared by a follower of the page. Love your pig unconditionally. That is the point of the whole article. Recently there was a major credit card company who decided to use a piglet in their advertisement infuriating the pig community, while this video was meant to serve as a rebuttal, of sorts, we are not professional videographers, so it didn't turn out like i had hoped it would, but still a great video for those new to pigs or contemplating whether or not to add a pig to the family. The pictures below are from a simple search on Facebook. Need to rehome mini pig. Try it, you'll be amazed at how many per day are there. I screen shotted a few to post and am not trying to call anyone out. Pigs sometimes need a new home for valid reasons, but had research been done on the front end, would this pig have been obtained by these people? I have no idea, but this is the reason we created an educational website.